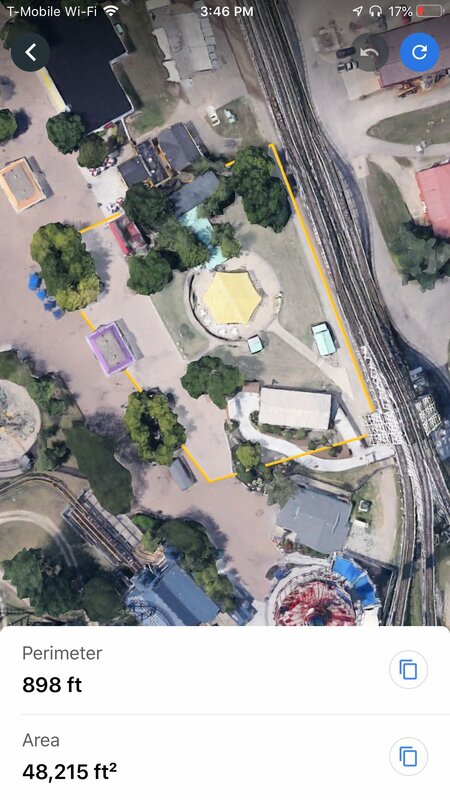 So, I did ride WindSeeker yesterday afternoon and (IMO), it looks like a decent-sized chunk of land for the Antique Cars (and it looks like they are saving some greenery too). 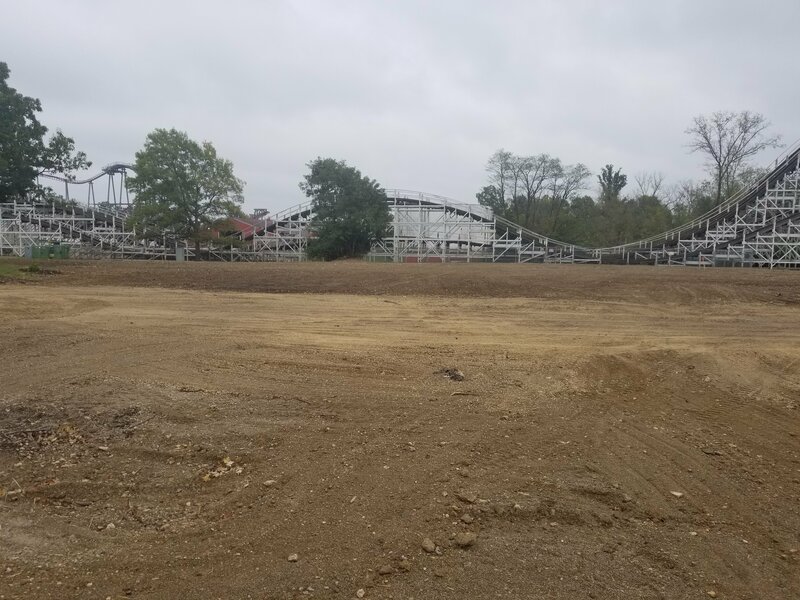 Also, when riding, be sure to look at the land beyond that plot all the way to where the dorms are going to be built (I think? )… that's a huge chunk of land for something big. to where the dorms are going to be built (I think? )… that's a huge chunk of land for something big. It will be by Great Wolf Lodge. Is that where you're talking about? New construction photos. Looks like we might be ready for the path to be laid. I doubt it. No concrete forms and no rebar. Makes me wonder if they are waiting until spring. ^ I doubt it. There's still plenty of time to poor concrete before winter hits. They could still be trying to select a contractor, etc. If it is like the old Antique cars, all they will have is a load station which is nothing more than a covered porch. The old ones also had a bridge. Beyond that, the actual track is nothing more than a concrete slab on grade. Not much to any of the above buildings. Keep in mind that we are about six months out from opening day in 2019. Still lots of time to get stuff done. 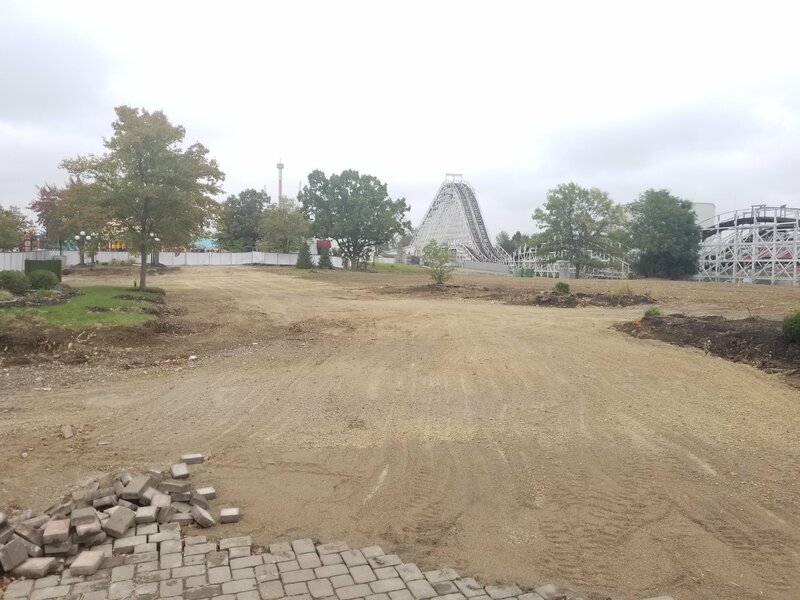 Now if they wait until the spring to start pouring stuff, we maybe talking about a May opening versus opening with the park. I doubt that they will do that though. This is Cincinnati- nothing is guaranteed as the weather goes. We dropped 50 degrees in a week. They wait too long and they will be waiting for spring and opening in May. With a month of concrete cure time, someone has to be doing the math. It’s not a purely simple project. The rail still has to be anchored to the concrete and they will need a garage and fueling area. Depending upon the fuel tank, above vs below ground, they are subject to all Ohio Fire Code/BUSTRs regulations. It’s not a coaster project, but it’s not something minor either. 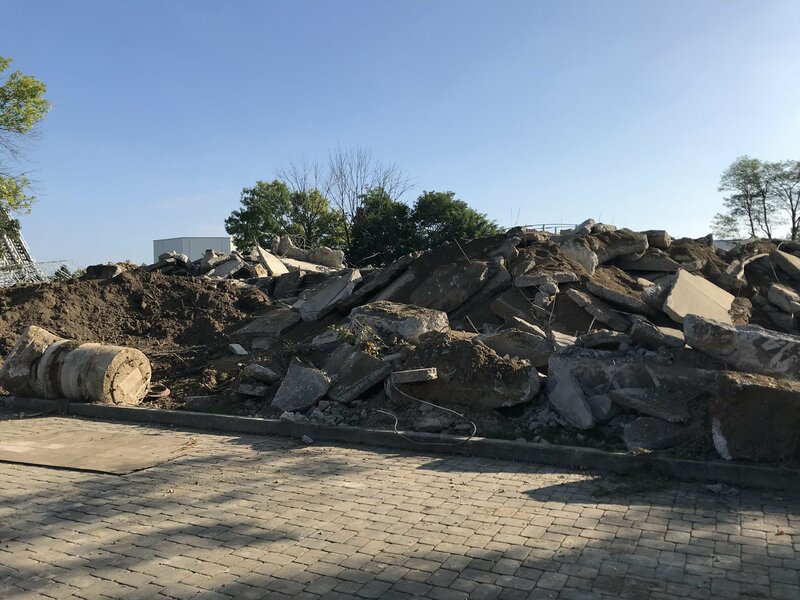 Besides being excited for the KMAA, looking at these pictures makes me wish I could salvage some of the pavers that are only 7 years old. Is the ride going to go on both sides The Racer. 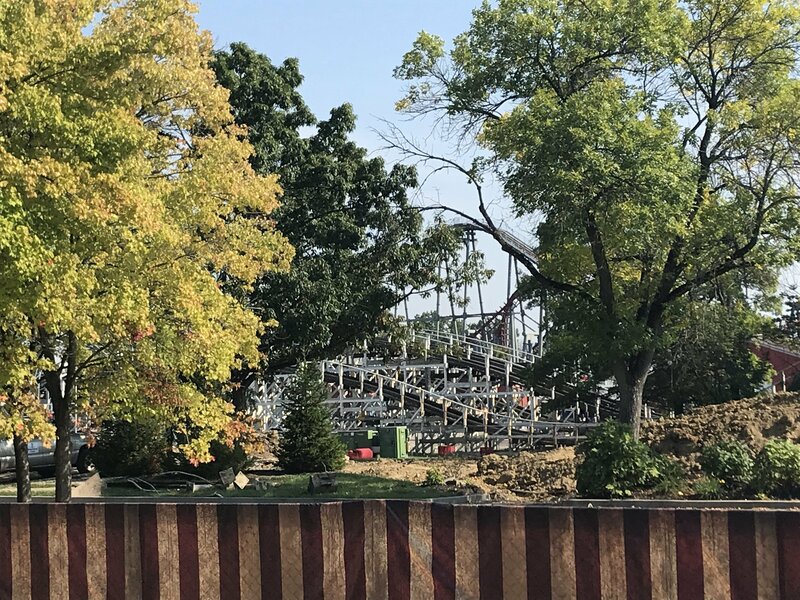 I really can't wait to see what the area looks like when it starts to take shape. No, it will stay on the South side of The Racer. 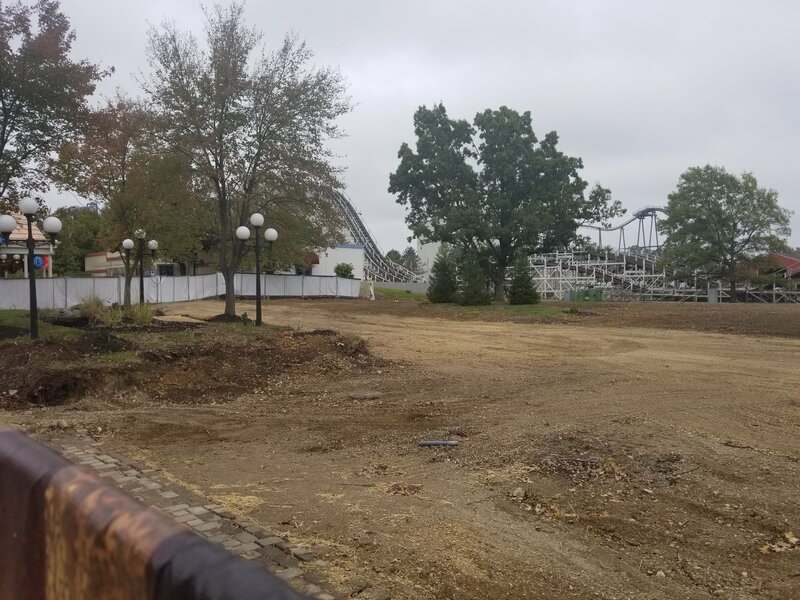 I am sure the park will be holding onto the pavers that were removed. 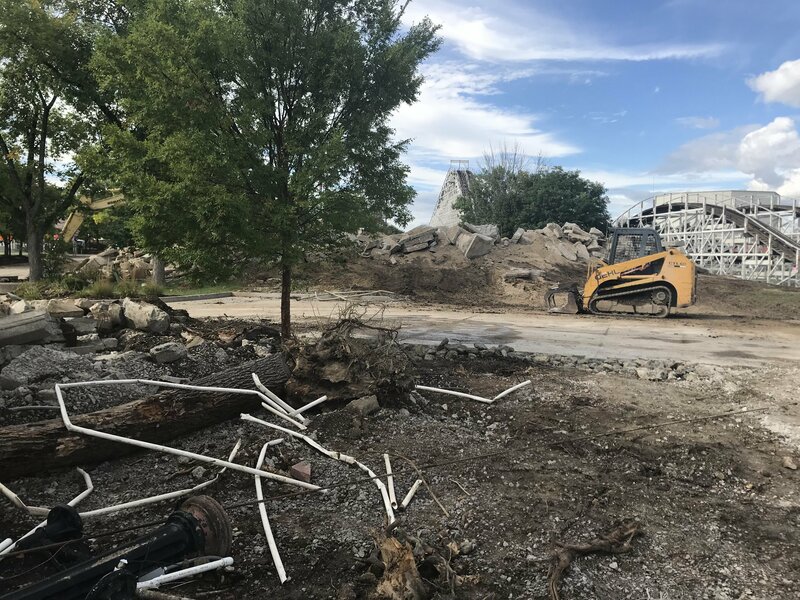 Both for when they are wrapping up the project in the spring to fill in any that were damaged, and to have stock to replace any that are damaged in future years down the road. 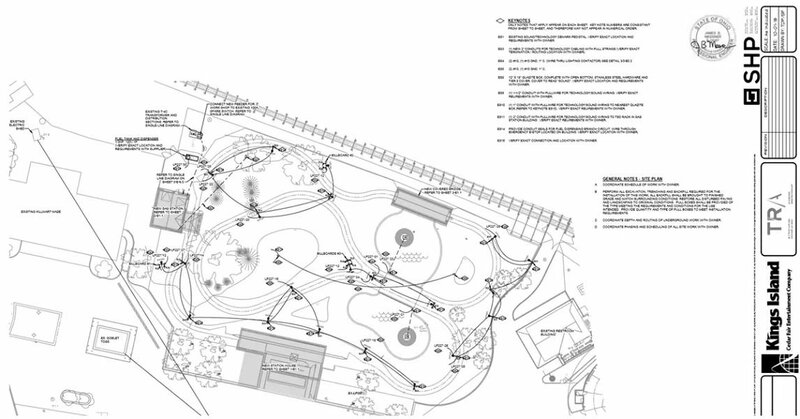 And maybe if we're lucky, to replace the remaining areas of asphalt inside the park. Interesting. I guess it would work since I believe there will only be one station. Just doenst seem like a lot of land in the area. I guess for now, let's admire how nice the fresh dirt looks. 1Acre =43560Sq. feet, I vastly over estimated earlier in the post. It’s deinitely not 5 acres. In fact it looks like it’s a little more than an acre in size. My guess is the track itself will be between 1300-2000’ in length. I used a 10’ wide track, even though that could be too wide. With terrain, this shouldn’t be a big deal, since I doubt the ride will be flat. 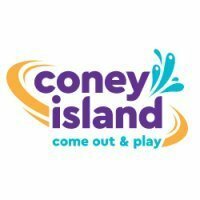 The park has said that the ride will be 1/4 mile in length. A quarter mile is 1,320 ft. Anyone know what the longest antique car ride is? They just released the track layout on social media! Pretty cool to see the layout. I like that TRA logo too. I am really concerned about the pacing after the MCBR. 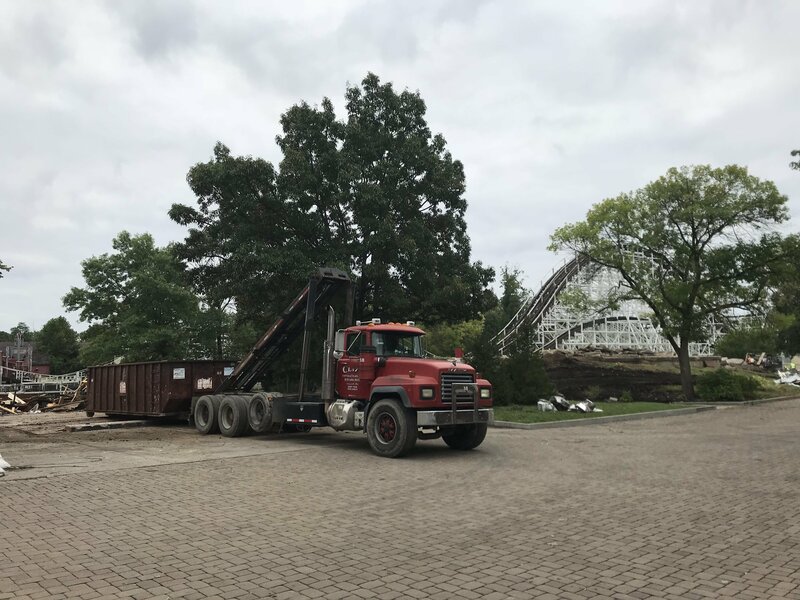 Cool temperatures make it hard to think about spring, but that’s exactly what construction crews at Kings Island are doing. 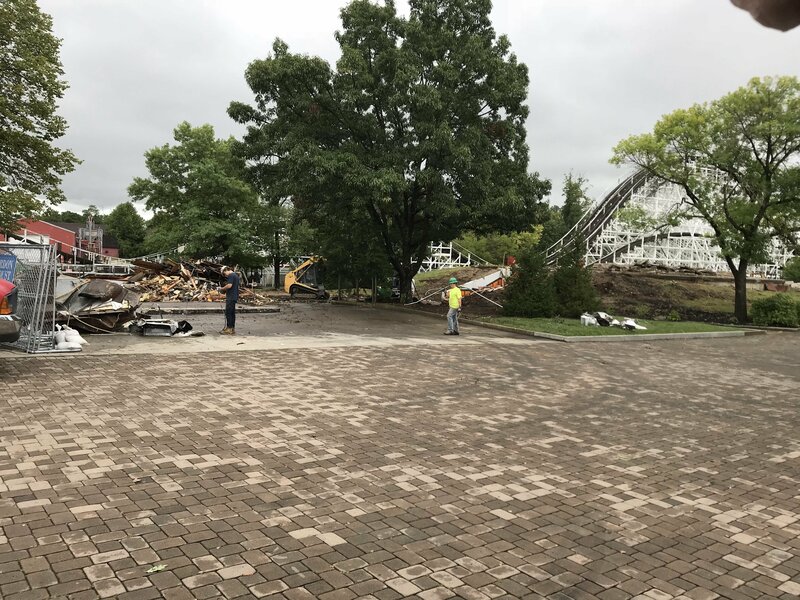 Yesterday, demolition in the Coney Mall section of the park was completed and construction of next season’s new attraction, Kings Mills Antique Autos, is ready to begin. 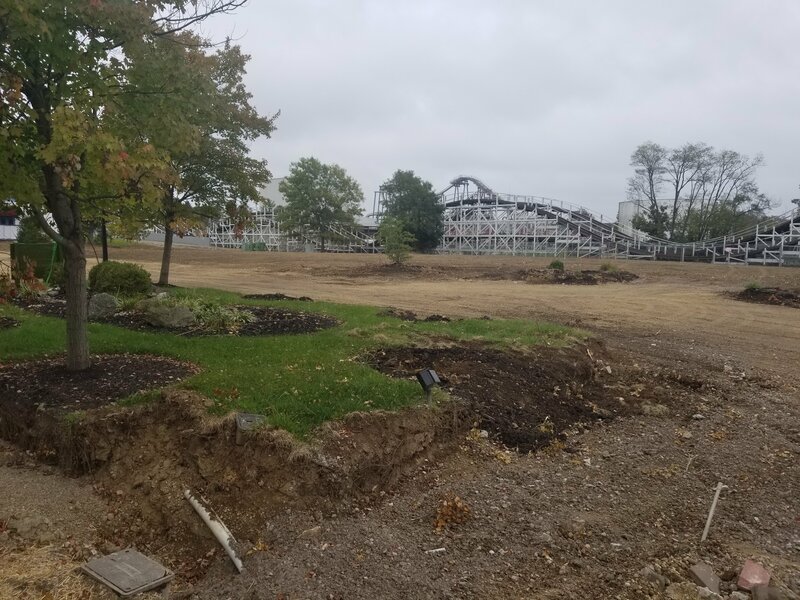 Park guests can check out the progress themselves during the final two weekends of Halloween Haunt. 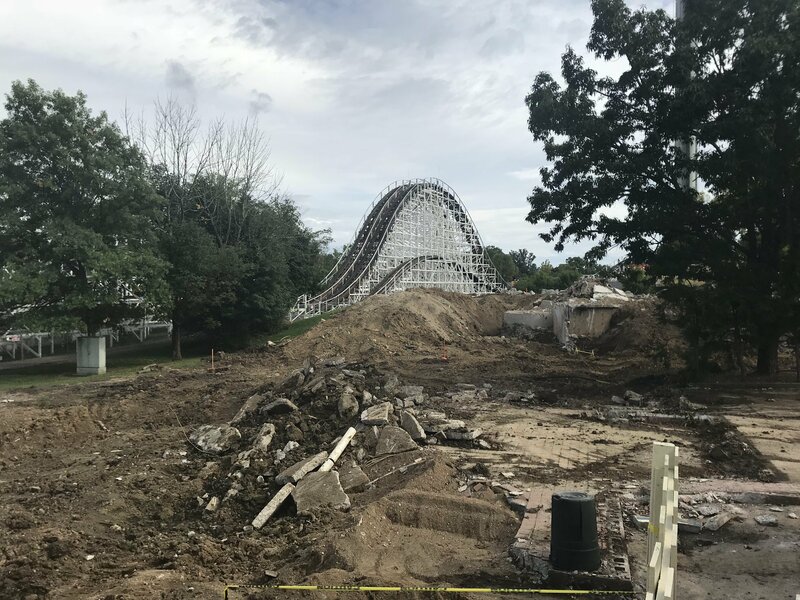 More construction photos from the demo that Chad sent me. Cool to see the full plans as well. What's that building supposed to be between Killmart and the new 'Tiques? I would assume that is the garage/ maintenance shop for the antique cars. @IndyGuy4KI , the link to the PDF isn't working for me. Is anyone else having the same issue? Can't wait we are excited!